Saroo Brierley has recently signed a global publishing deal with Penguin Publishing. This is fantastic news for Saroo as he can now get his fascinating story out to people all over the world through one of the most reputable & successful publishes in the market. “I am looking forward to publishing a book about my journey and share my story with thousands of people around the world. Thanks so much to Penguin & Sunstar for making it happen,” said Saroo. 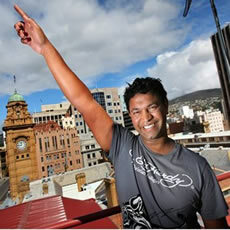 Saroo has begun writing his book with a 2013 release date. Stay tuned for some more exciting news over the coming weeks !